hennemusic is pleased to deliver a live stream of Metallica’s final concert of their North American tour from Commonwealth Stadium in Edmonton, AB. “What a summer! !,” says the band. “Thank you to some of the craziest, most passionate, intense avid fans on the planet!! This has been another memorable and special summer run for us seeing so many new faces along with lots of old friends as you welcomed us back for our first tour of North America in over eight years. 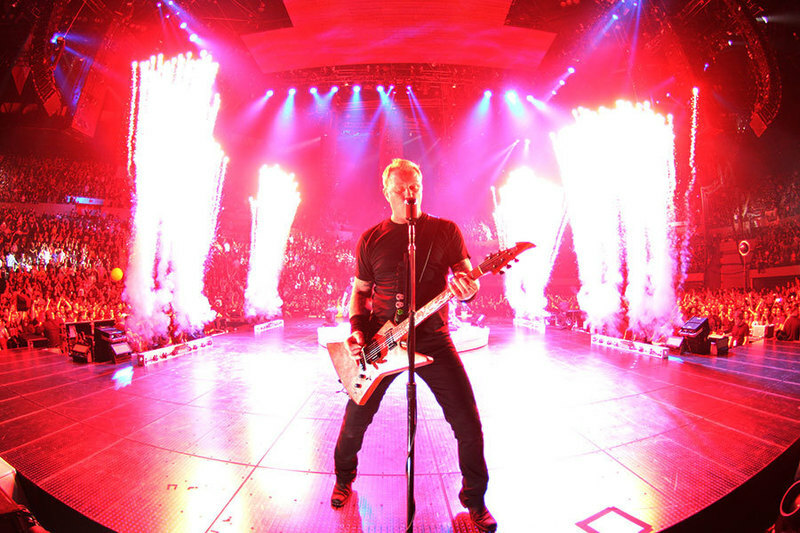 Metallica launched the summer shows in support of “Hardwired…To Self-Destruct” at M&T Bank Stadium in Baltimore, MD on May 10 after hennemusic streamed their final rehearsal for the trek from the same venue on May 9. A few weeks prior to the tour’s launch, the group’s tenth album achieved platinum status in the US for sales of 1 million equivalent album units by the Recording Industry Association of America (RIAA), which blend traditional album sales, tracks sold from an album and on-demand audio and video streams. Last month, the record officially passed the 1 million sales mark in the US, becoming the band’s 12th album to reach that plateau Stateside since Nielsen Music began tracking sales in 1991.